When it comes to the world’s best international cuisine, Spain has got to be up there as one of the recurring favourites. 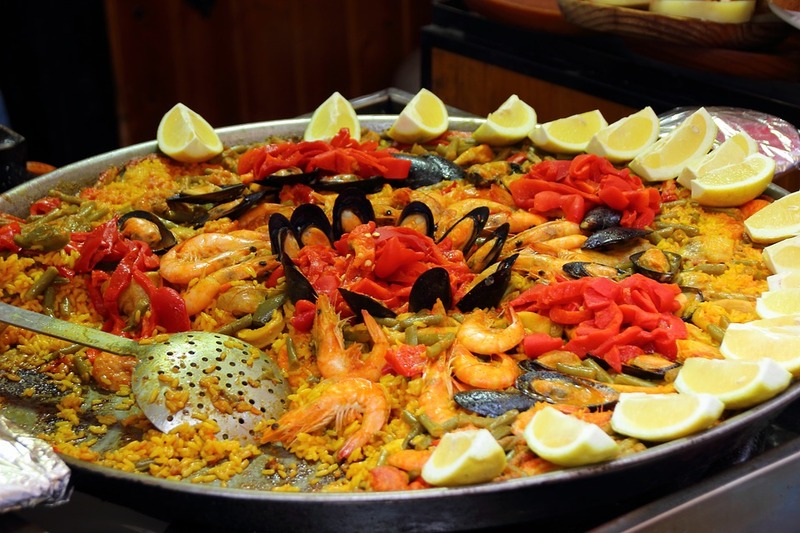 Famous for its tantalisingly tasty tapas, its mouth-wateringly good paella and its rich Mediterranean flavours, the country’s recognisable dishes offer something for everyone, no matter what your tastes. Exploring the gastronomical highlights of Spain is any foodie’s dream, but just where exactly are you meant to start? Depending on what it is you’re looking for, we’ve compiled a selection of the top places to go in Spain as a foodie. Looking for a more relaxing beach holiday, as opposed to a city break, but still want to experience all the great food that the country has to offer? In this case, all inclusive holidays to Spain could be just the thing for you. Spend your days soaking up the sun around the pool, then indulge in different types of food from all over Spain at meal times, with plenty of options to try something new each time. Grenada is known as the city of free tapas, so if you can’t get enough of the delicious little dishes, this is the place you want to visit. Free tapas, you say? All you need to do is head into a bar and order yourselves a drink. The majority of bars in Grenada will serve up a selection of free tapas as standard, along with your wine or beer. Valencia may be the birthplace of paella, but Barcelona is certainly doing a great job of trying to steal the crown for producing the best. Find an authentic tavern down one of the Gothic quarter’s narrow side streets or a stylish restaurant down at Port Vell and tuck into a big, sharing dish of the traditional rice dish, cooked with your choice of chicken, duck, rabbit, seafood or vegetables. For a capital city, Madrid has one of the largest volumes of restaurants in all of Europe, so with that comes a great choice when it comes to sampling delicious Spanish food. Try the city’s staple roast suckling pig or a hearty Spanish stew, go tapas-hopping around the bars of the old quarter or treat yourself to some moreish chocolate-dipped churros. Despite its central location, so far away from the sea, Madrid actually has some of the best seafood in the country, so be sure to try some deep-fried squid rings while you’re there too. Surrounded by the Atlantic Ocean and the Bay of Biscay, it’s no wonder that this area in the northwest of Spain is where you’ll find some of the best seafood in the whole country. You’ll find some exceptional seafood restaurants in the cities of La Coruña, Vigo and Santiago de Compostela, serving everything from traditional code and hake to the more adventurous clams, octopus and spider crabs. No doubt the above locations have given you some food for thought, but wherever you choose to go in Spain, you won’t be disappointed with the delicious food on offer. Next articleWhere To Go For The World’s Best Family Sailing Holidays?